On August 28th 1963 the Geo. 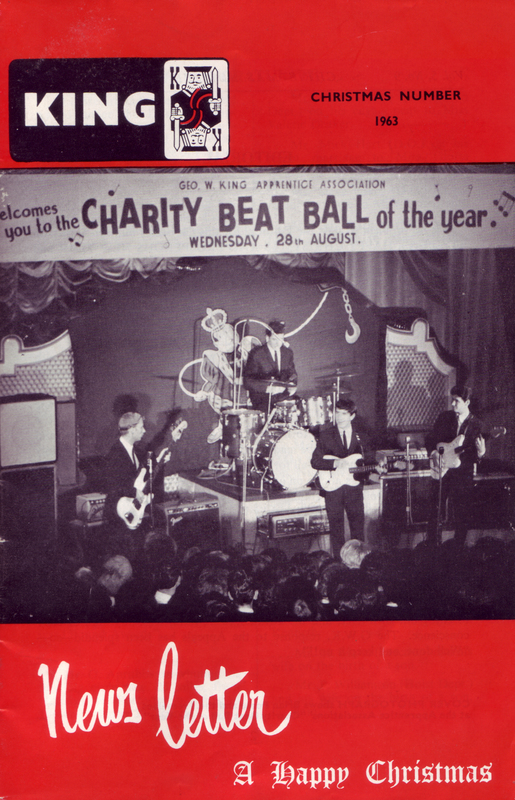 W. King Limited Apprentice Association held a Charity Beat Ball at Locarno Ball Room in Danestrete (now the Mecca Bingo Hall). The Ball was “headlined” by Brian Poole and The Tremeloes who, at that time of their appearance, were a “Chart Act” with their first single, “Twist and Shout” at number 4 in the Charts. They would go on to become one of the most successful bands of the 1960’s. The support Acts, Tommy Bruce and the Bruisers and The Renegades were less successful. Tommy Bruce and the Bruisers did however have a single, “Ain’t Misbehavin’” which reached number 3 in the Charts in 1960. The following is an account of the Ball from the King Newsletter of Christmas 1963. “On August 28th the Association held a, “Charity Beat Ball” in aid of the “Imperial Cancer Research Fund” and “The Freedom from Hunger” Campaign. Brian Poole and the Tremeloes. Tommy Bruce and the Bruisers. All tickets were sold prior to the day of the dance and over 2,000 were disappointed at not being able to obtain a ticket. The evening proved to be a great success and £143. 9s. 0d* was handed over to the charities by Mr. K. B. Warwick, Chairman of the Association. The Cheques were received by Mr. Dickson Wright Hon. Treasurer of the “ Imperial Cancer Research Fund” and Mr. H. A. T. George, Hon. Secretary of the “Stevenage Freedom from Hunger Campaign”. Mr. Warwick thanked all who had helped the Association in organising the Ball. Tommy Bruce and Brian Poole drew the winning numbers for the raffle prizes for which included the Top Ten Singles and 1 L.P.** Record. ** L.P. – Long Playing Record, later to be known as an “Album”. ***A square, a term used by young people in the early 1960s for someone who was not “with it”. This page was added on 06/04/2013.